As a CIMA-qualified professional, you will be able to drive business success, by using your financial knowledge to influence strategic decisions and manage performance. You’ll become part of a global organization, powered by two of the world’s leading accounting bodies (AICPA and CIMA) which is working to make management accounting the most valued profession in business worldwide. The qualification syllabus was designed to encourage step by step development of finance and business knowledge as well as skills that are required by today’s businesses. It has three pillars and four levels. As a Chartered Global Management Accountant (CGMA) you won’t be just a number cruncher, but manage the future of a business. The pillars are therefore designed to cover not just finance, but a range of other business areas. How to formulate and effectively implement the strategy. How finance helps in formulating and effectively implementing the strategy. How to prepare and interpret financial statements to make decisions. The levels encourage progressive, constant development of knowledge, ensuring you have exactly the skills businesses need. Test of professional competence: Bridges the gap between ‘knowing’ and ‘doing’, combining finance and business knowledge to help you inform and forecast business strategy. On completion, you become a Chartered Global Management Accountant with the designatory letters ACMA and CGMA. How to prepare financial statements, provide management accounting information, and use appropriate tools for decision making through a broad understanding of business. After successfully completing this level, you will receive the CIMA Diploma in Management Accounting. How to prepare group accounts, make pricing and product decisions based on a robust analysis, and manage projects and relationships. 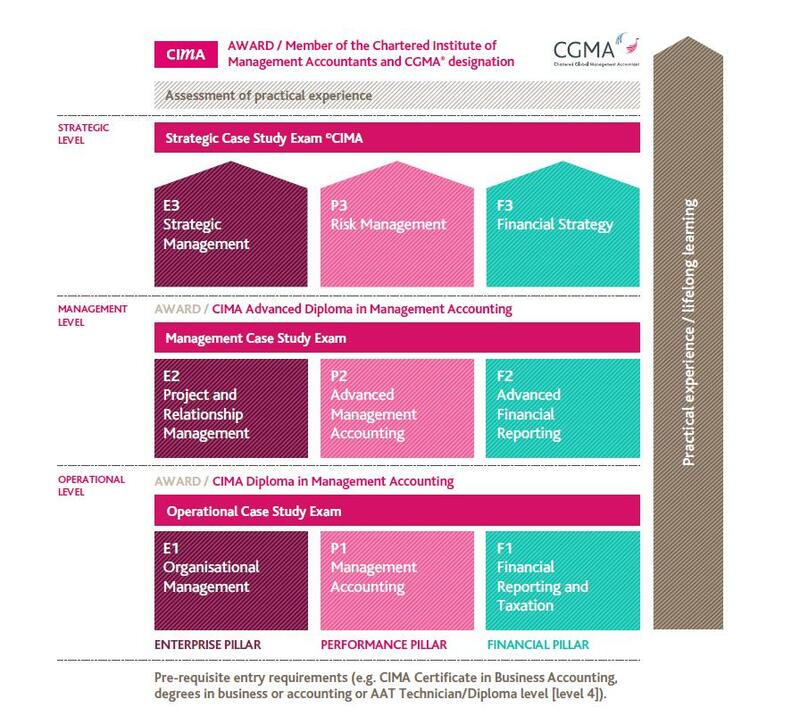 On completion, you receive the CIMA Advanced Diploma in Management Accounting. How to formulate financial strategy and manage strategic relationships while managing risk, using the competencies gained at operational and management levels. IMAS offers you the most flexible programme in town that allows you to either attend classes over the weekend or in the evening during the week. We offer classes either full time or part. The choice is yours. You take nine key assessments (the objective tests) on demand and via computer with results available immediately. This will give you more flexibility with how you plan your way through the qualification. You can choose to sit your assessments the moment you feel you are ready. There’s no need to follow a rigid test schedule. As soon as you pass, you can move on to the next objective test. Our integrated case studies, available four times a year, focus on the key skills employers have asked for. Our case study assessments consolidate the learning at each CIMA level (operational, management, strategic) to reflect real-life work situations. They are also taken via computer but marked in person by our examiners.